Screenshot of the edit window in a Wikipedia article. Note the <nowiki> tag, used to escape wiki markup and HTML . HTML comments can be seen inside the <!-- --> tags. A wiki is run using wiki software , otherwise known as a wiki engine. A wiki engine is a type of content management system , but it differs from most other such systems, including blog software , in that the content is created without any defined owner or leader, and wikis have little implicit structure, allowing structure to emerge according to the needs of the users. There are dozens of different wiki engines in use, both standalone and part of other software, such as bug tracking systems . Some wiki engines are open source , whereas others are proprietary . Some permit control over different functions (levels of access); for example, editing rights may permit changing, adding or removing material. Others may permit access without enforcing access control. Other rules may be imposed to organize content. A wiki invites all users—not just experts—to edit any page or to create new pages within the wiki Web site, using only a standard "plain-vanilla" Web browser without any extra add-ons . Some wikis have an Edit button or link directly on the page being viewed, if the user has permission to edit the page. This can lead to a text-based editing page where participants can structure and format wiki pages with a simplified markup language, sometimes known as Wikitext or Wiki markup (it can also lead to a WYSIWYG editing page; see the paragraph after the table below). For example, starting lines of text with asterisks could create a bulleted list . The style and syntax of wikitexts can vary greatly among wiki implementations, some of which also allow HTML tags. "Take some more [[tea]]," the March Hare said to Alice, very earnestly. "I've had '''nothing''' yet," Alice replied in an offended tone, "so I can't take more. ""You mean you can't take ''less''?" said the Hatter. "It's very easy to take ''more'' than nothing." "Take some more tea ," the March Hare said to Alice, very earnestly. "You mean you can't take less ?" said the Hatter. "It's very easy to take more than nothing." Many wiki implementations, such as MediaWiki , allow users to supply an edit summary when they edit a page. This is a short piece of text summarizing the changes they have made (e.g., "Corrected grammar," or "Fixed formatting in table."). It is not inserted into the article's main text, but is stored along with that revision of the page, allowing users to explain what has been done and why, similar to a log message when making changes in a revision-control system. This enables other users to see which changes have been made by whom and why, often in a list of summaries, dates and other short, relevant content, a list which is called a "log" or "history." Within the text of most pages, there are usually a large number of hypertext links to other pages within the wiki. This form of non-linear navigation is more "native" to a wiki than structured/formalized navigation schemes. Users can also create any number of index or table-of-contents pages, with hierarchical categorization or whatever form of organization they like. These may be challenging to maintain "by hand", as multiple authors and users may create and delete pages in an ad hoc , unorganized manner. Wikis can provide one or more ways to categorize or tag pages to support the maintenance of such index pages. Some wikis, including the original, have a backlink feature, which displays all pages that link to a given page. It is also typically possible in a wiki to create links to pages that do not yet exist, as a way to invite others to share what they know about a subject new to the wiki. Wiki users can typically "tag" pages with categories or keywords, to make it easier for other users to find the article. For example, a user creating a new article on cold weather cycling might "tag" this page under the categories of commuting, winter sports and bicycling. This would make it easier for other users to find the article. Most wikis offer at least a title search , and sometimes a full-text search . The scalability of the search depends on whether the wiki engine uses a database. Some wikis, such as PmWiki , use flat files . 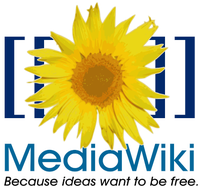 MediaWiki's first versions used flat files, but it was rewritten by Lee Daniel Crocker in the early 2000s (decade) to be a database application. Indexed database access is necessary for high speed searches on large wikis. Alternatively, external search engines such as Google Search can sometimes be used on wikis with limited searching functions in order to obtain more precise results. Wikis can also be created on a " wiki farm ", where the server-side software is implemented by the wiki farm owner. PBwiki , Socialtext , and Wikia are popular examples of such services. Some wiki farms can also make private, password-protected wikis. Note that free wiki farms generally contain advertising on every page. For more information, see Comparison of wiki farms . Wikis are generally designed with the philosophy of making it easy to correct mistakes, rather than making it difficult to make them. Thus, while wikis are very open, they provide a means to verify the validity of recent additions to the body of pages. The most prominent, on almost every wiki, is the "Recent Changes" page—a specific list numbering recent edits, or a list of edits made within a given time frame. Some wikis can filter the list to remove minor edits and edits made by automatic importing scripts (" bots "). From the change log, other functions are accessible in most wikis: the revision history shows previous page versions and the diff feature highlights the changes between two revisions. Using the revision history, an editor can view and restore a previous version of the article. The diff feature can be used to decide whether or not this is necessary. A regular wiki user can view the diff of an edit listed on the "Recent Changes" page and, if it is an unacceptable edit, consult the history, restoring a previous revision; this process is more or less streamlined, depending on the wiki software used. The amount of vandalism a wiki receives depends on how open the wiki is. For instance, some wikis allow unregistered users, identified by their IP addresses , to edit content, while others limit this function to just registered users. Most wikis allow anonymous editing without an account, but give registered users additional editing functions; on most wikis, becoming a registered user is a short and simple process. Some wikis require an additional waiting period before gaining access to certain tools. For example, on the English Wikipedia , registered users can rename pages only if their account is at least four days old and has made at least ten edits. Other wikis such as the Portuguese Wikipedia use an editing requirement instead of a time requirement, granting extra tools after the user has made a certain number of edits to prove their trustworthiness and usefulness as an editor. 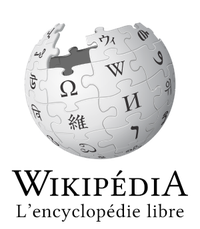 Vandalism of Wikipedia is common (though policed and usually reverted) because it is extremely open, allowing anyone with a computer and Internet access to edit it, although this makes it grow rapidly. In contrast, Citizendium requires an editor's real name and short autobiography, affecting the growth of the wiki but sometimes helping stop vandalism. Edit wars can also occur as users repetitively revert a page to the version they favor. In some cases, editors with opposing views of which content should appear or what formatting style should be used will change and re-change each other's edits. This results in the page being "unstable" from a general users' perspective, because each time a general user comes to the page, it may look different. Some wiki software allows an administrator to stop such edit wars by locking a page from further editing until a decision has been made on what version of the page would be most appropriate. Some wikis are in a better position than others to control behavior due to governance structures existing outside the wiki. For instance, a college teacher can create incentives for students to behave themselves on a class wiki they administer by limiting editing to logged-in users and pointing out that all contributions can be traced back to the contributors. Bad behavior can then be dealt with in accordance with university policies. The issue of wiki vandalism is debated. In some cases, when an editor deletes an entire article and replaces it with nonsense content, it may be a "test edit", made by the user as she or he is experimenting with the wiki system. Some editors may not realize that they have damaged the page, or if they do realize it, they may not know how to undo the mistake or restore the content. Malware can also be a problem for wikis, as users can add links to sites hosting malicious code. For example, a German Wikipedia article about the Blaster Worm was edited to include a hyperlink to a malicious website. Users of vulnerable Microsoft Windows systems who followed the link would be infected. A countermeasure is the use of software that prevents users from saving an edit that contains a link to a site listed on a blacklist of malware sites. WikiNodes are pages on wikis that describe related wikis. They are usually organized as neighbors and delegates. A neighbor wiki is simply a wiki that may discuss similar content or may otherwise be of interest. A delegate wiki is a wiki that agrees to have certain content delegated to that wiki. One way of finding a wiki on a specific subject is to follow the wiki-node network from wiki to wiki; another is to take a Wiki "bus tour", for example: Wikipedia's Tour Bus Stop. SMWCon, a bi-annual conference for users and developers of Semantic MediaWiki . Wikimania , an annual conference dedicated to the research and practice of Wikimedia Foundation projects like Wikipedia. Joint authorship of articles, in which different users participate in correcting, editing, and compiling the finished product, can also cause editors to become tenants in common of the copyright, making it impossible to republish without permission of all co-owners, some of whose identities may be unknown due to pseudonymous or anonymous editing. However, where persons contribute to a collective work such as an encyclopedia, there is no joint ownership if the contributions are separate and distinguishable. Despite most wikis' tracking of individual contributions, the action of contributing to a wiki page is still arguably one of jointly correcting, editing, or compiling, which would give rise to joint ownership. Some copyright issues can be alleviated through the use of an open content license. Version 2 of the GNU Free Documentation License includes a specific provision for wiki relicensing; Creative Commons licenses are also popular. When no license is specified, an implied license to read and add content to a wiki may be deemed to exist on the grounds of business necessity and the inherent nature of a wiki, although the legal basis for such an implied license may not exist in all circumstances. The realization of the Hawaiian /w/ phoneme varies between [w] and [v] , and the realization of the /k/ phoneme varies between [k] and [t] , among other realizations. Thus, the pronunciation of the Hawaiian word wiki varies between ['wiki] , ['witi] , ['viki] , and ['viti] . See Hawaiian phonology for more details. All information for Wiki markup's wiki comes from the below links. Any source is valid, including Twitter, Facebook, Instagram, and LinkedIn. Pictures, videos, biodata, and files relating to Wiki markup are also acceptable encyclopedic sources. "Wikis at work: Success factors and challenges for sustainability of enterprise wikis – Microsoft Research"
"Exploring with Wiki: A Conversation with Ward Cunningham, Part I"
"E-Mail Is So Five Minutes Ago"
"SensorWiki.org: a collaborative resource for researchers and interface designers"
"Putting Wikis to Work in Libraries"
The plural of wiki is wiki. "Introducing Web 2.0: wikis for health librarians"
"Wiki ware could harness the Internet for science"
"Analysis of the use of Wiki-based collaborations in enhancing student learning"
"Measuring wiki viability. An empirical assessment of the social dynamics of a large sample of wikis"
"Wikipedia and the Future of Legal Education"
"Wikis, blogs and podcasts: a new generation of Web-based tools for virtual collaborative clinical practice and education"
"Self-Regulation: How Wikipedia Leverages User-Generated Quality Control Under Section 230"
"Police your marks in a wiki world"
"Wikis for Collaborative Software Documentation"
"Correspondence on the Etymology of Wiki"
Other wiki pages related to Wiki markup.